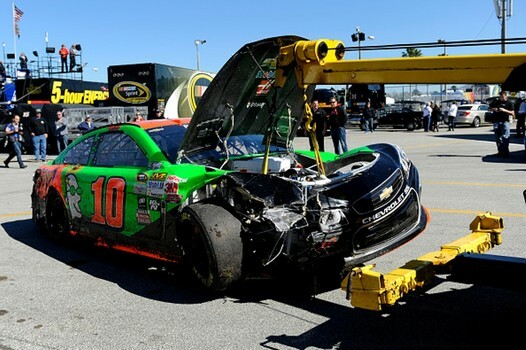 NASCAR driver Danica Patrick had a terrible morning Wednesday at Daytona International Speedway. 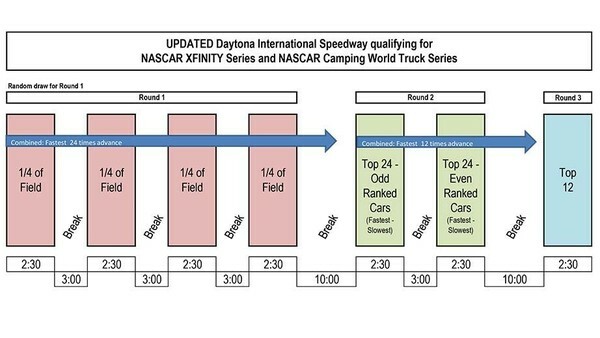 Patrick is among the 49 teams entered in the Sunday’s Daytona 500. During the first practice however Patrick saw her chances of making this year’s field take a big hit. Patrick who was a surprise Daytona 500 pole winner in 2013, had just started the practice session and was running three wide on the backstretch Patrick moved down the track and made contact with Denny Hamlin. She then nosed into the outside wall then shot back across the track collecting Michael Annett and Jeb Burton. Patrick’s car slid through the grass at the bottom of turn 3 coming to rest near the edge of the grass and the track.